Our firm has grown quickly in the past five years, and we felt that it was time to implement a dynamic new website to showcase who we are and how we can help meet clients’ needs. 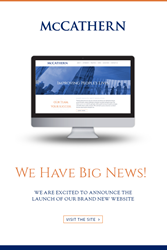 McCathern, PLLC, a national, full-service law firm, is thrilled to announce the launch of its completely redesigned law firm website, http://www.mccathernlaw.com. This new website highlights firm’s attorneys and provides users with an interactive, user-friendly experience. It features a fresh, innovative design, clear navigation, and up-to-date firm information. “Our firm has grown quickly in the past five years, and we felt that it was time to implement a dynamic new website to showcase who we are and how we can help meet clients’ needs,” stated Founding Partner Levi G. McCathern, II. Established in 1998 as a boutique firm, McCathern has progressed into a full-service law firm with nearly 50 attorneys in 3 offices located in Dallas, Houston, and Los Angeles. Created with the end user’s experience in mind, McCathern’s new website uses the latest technology to ensure compatibility with current browsers and mobile devices. In addition, the firm’s new website was enhanced for visitors to engage on smartphones, tablets, and other mobile devices. The new website also makes it easy to contact the firm using form submissions on various pages throughout the website. Visit http://www.mccathernlaw.com to view the firm’s new website. Formed in 1998, McCathern, PLLC has developed a reputation of excellence in providing high-quality legal services to clients across the nation. With offices in Dallas, Houston, and Los Angeles, each of the firm’s leaders brings large-firm experience and business acumen to a smaller-firm environment of agility and efficiency. 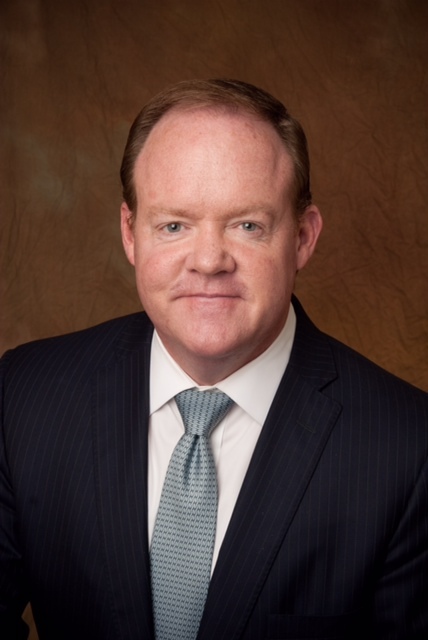 McCathern’s philosophy of “Improving People’s Lives” is implemented daily by treating clients as business partners, working together to find the solution to a dispute, and closing a transaction in a diligent, cost-effective manner. With Board Certified® Trial Attorneys, McCathern’s clients are represented by some of the best in the country. The firm’s successful track record has attracted an impressive clientele list, ranging from Fortune 500 corporations and high-profile organizations, to small companies and high-net-worth individuals. In 2015, McCathern was recognized among the “Best Law Firms” rankings from U.S. News – Best Lawyers. Visit http://www.mccathernlaw.com for more information or call 214-741-2662.